Cary, NC – With Academy Street renovated and open, residents are getting to see what the new Downtown Cary will look like. 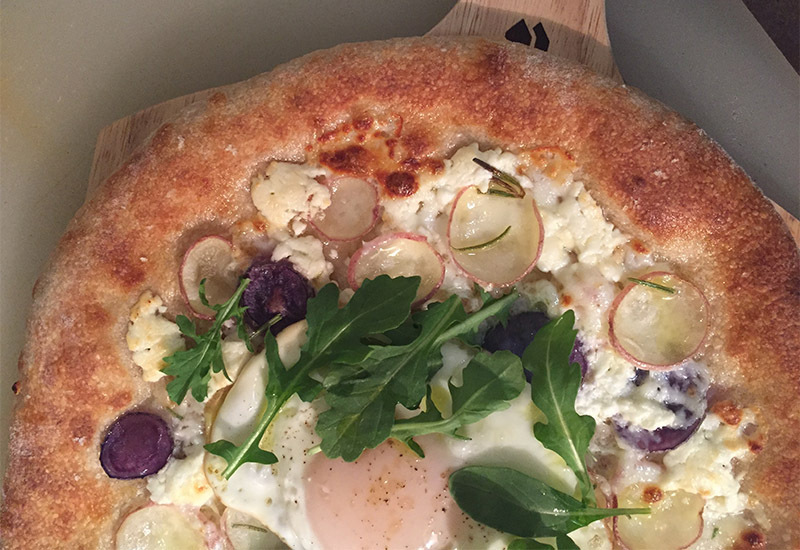 And as a part of the new downtown, visitors will be able to eat authentic wood-oven pizza at Pizzeria Faulisi. 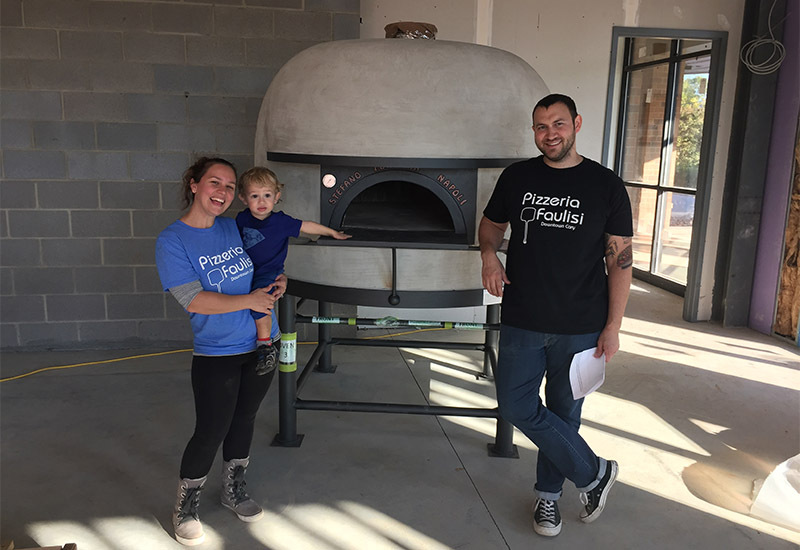 Pizzeria Faulisi, opening on East Chatham Street, is a Neapolitan-style pizza restaurant that co-owner Amber Faulisi said will bring something new to the area. And even aside from their style of cooking unseen in much of Cary, Faulisi said the restaurant will bring something important to downtown. When deciding where to open, Faulisi said she kept hearing recommendations for Downtown Cary. “There’s definitely growth coming in. We felt right here,” Faulisi said. 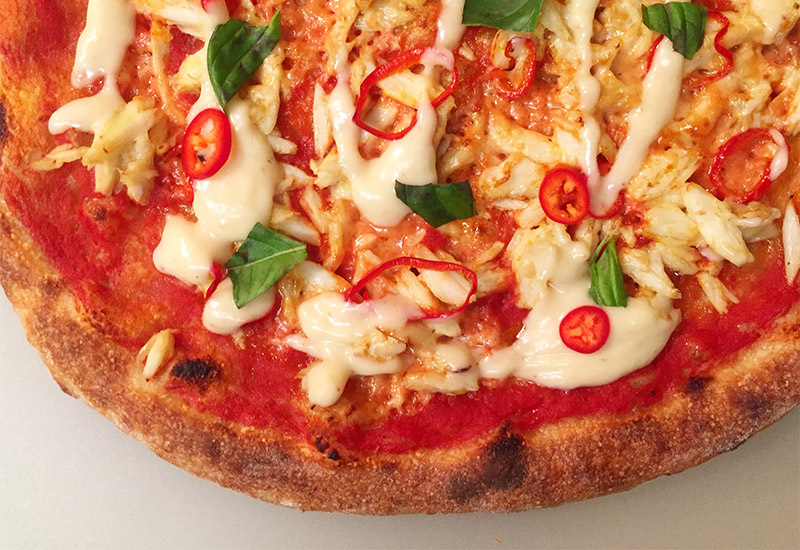 Food is an essential part of their lives, both meeting in culinary school and working in restaurants and hotels all over the country before opening Pizzeria Faulisi here. “After working in fine dining for so long, we wanted to bring good food to the local level and not be so fancy,” Faulisi said. In their time since leaving culinary school, Faulisi and her husband have worked in both New York City and Miami, as well as local restaurants such as An and started restaurants such as Durham’s Bull City Burger. Total, Faulisi said she and Zach have moved to and from Cary three different times in the past 12 years. “When we decided where to settle down, we looked at Cary and remembered how much we enjoyed it,” she said. Pizzeria Faulisi has a target opening for late January or early February 2017 and will be on 215 E Chatham St.
Story by Michael Papich. Photos courtesy of Amber Faulisi.